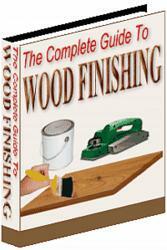 These can be assembled in the same way or set out by measurement, for the position is not highly critical. Side rails can be set in say 1/2 in (12.5 mm) but the front rail 3/4 in (19 mm) or more to give adequate toe room, while the back rail is usually flush with the carcass. If the carcass is solid wood, fastening will have to allow for the inevitable shrinkage, either with wood buttons or metal shrinkage plates, but plywood carcasses can have the plinths pocket screwed (195:13). A fairly common way of constructing these plinths in production-work is to lap dovetail the sides (195:12), but this is done not for reasons of strength but because it is simpler to mass produce dovetails than it is to mitre saw, shoot and glue block the plinth framing. A variation often adopted in wardrobes and cupboards is to bring the carcass sides down to floor level and tongue an inset rail under the base (195:14). This is a modern rendering of the old method of mitring in a flush front rail and masking the through housing/dado of the cupboard floor with a moulding which was returned along the sides to simulate an independent plinth. The former method (195:14) is eminently practical and reasonable, but the older method of planted mouldings was merely a sham and never really practicable, for the side mouldings were invariably knocked off in time. 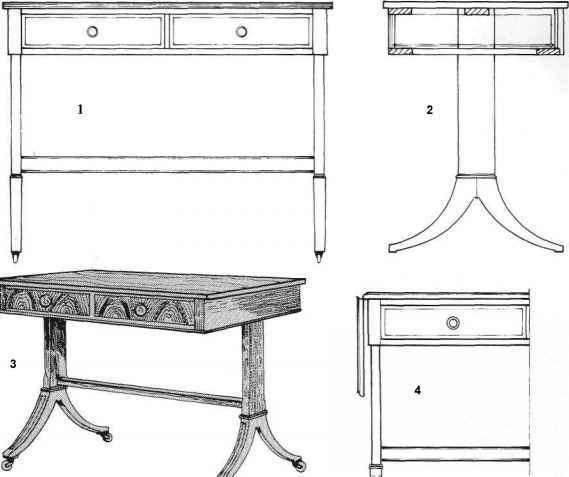 Plinth stools are constructed as described in Leg and frame construction, Chapter 22, p. 208, and are made up as already described. Cornices are now rarely used, but were a feature in traditional work. Strictly speaking, a cornice is the top moulding of the entablature to a column which, in Classic architecture, included frieze mould, frieze (usually ornamented) and cornice moulding; but the term cornice in furniture is usually taken to include all three. Cornices can be applied to the carcass (196:2) or treated as a separate unit (196:3), and the latter is the better method. In 196:2 a solid frieze board is applied to the carcass head on the front and glue blocked to the carcass top, with the small part (A) mitred in as a separate piece to hide the end grain of the frieze board on the return. The mouldings are then applied to the frieze board and returned along the sides, but if a minimum projection only is required, they can be trenched into the frieze board as shown. Solid carcass sides may, however, present problems as the inevitable shrinkage across the width will tend to reject the long-grain return mouldings. Doors are usually overlaid (closing over carcass sides) with this type of cornice (196:2). Figure 196:3 shows a built-up cornice framed up in the same manner as a plinth, with the cornice mould, frieze and frieze moulding applied as one solid section, or as a series of independent mouldings applied to the cornice frame. Dust panels are fitted in the best work, rebated/rabbeted into the moulding and glued and pinned; while the cornice unit is positioned on the carcass top with stub dowels or locating blocks and is left detachable to allow for shrinkage in the carcass. 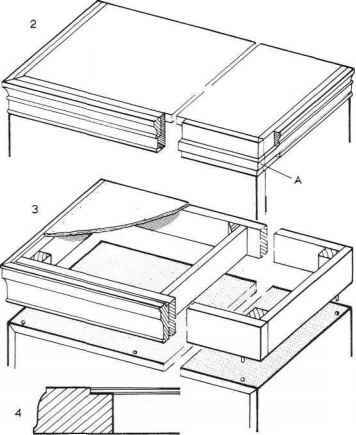 Figure 196:4 shows a solid cornice mould mitred and glue blocked for a dust panel which is screwed up or down to the carcass top.